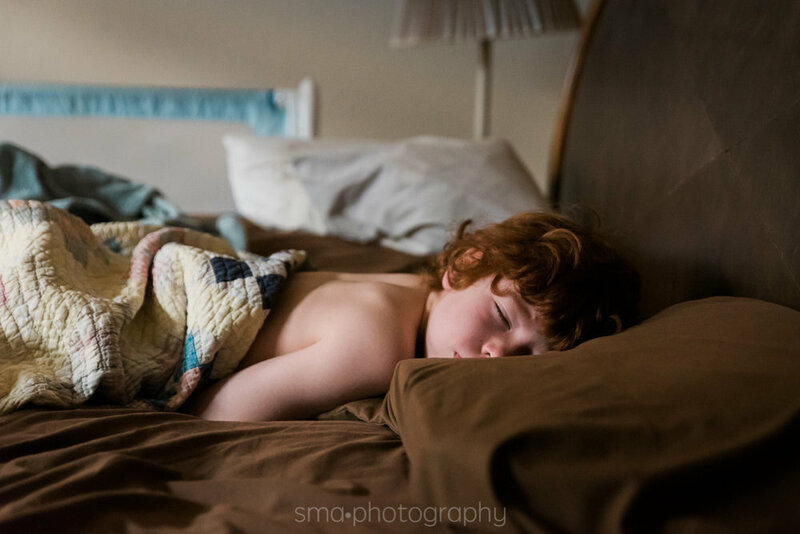 Often, the families I work with are completely in love with idea of capturing their real life in photographs...they just aren't quite sure what they should ask me to photograph. Sitting down with each one and helping them work out which memories are most important to them is a service I love including in their session experience. Occasionally, though, I get an email from a family who knows exactly what part of their lives they want me to document, and I have to tell you, that is equally as wonderful. 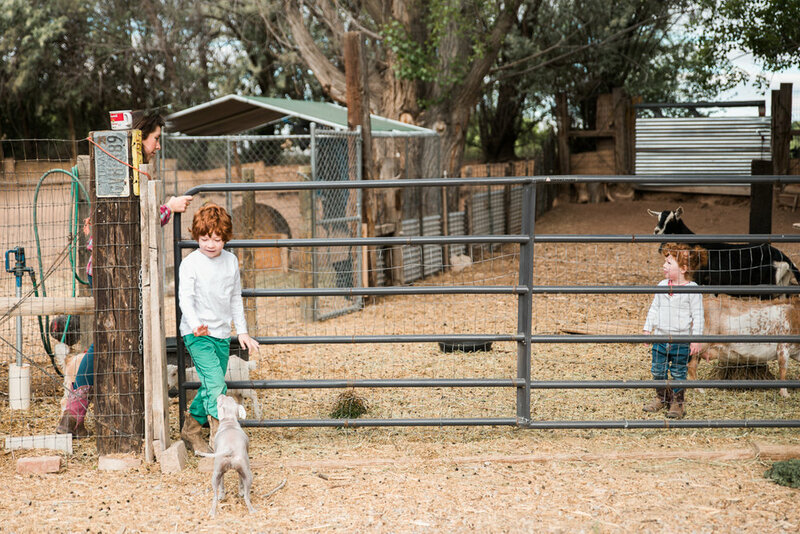 With a lovely farm in Corrales, where they raise four wonderful children, in addition to goats and chickens, Tish and Ty invited me to photograph a regular morning of chores, breakfast, and a bit of sweet reading time with Grandma. I so loved listening to Tish describe how she cherishes the simple moments in their every day - the looks on her children's faces when they wake or as they tell her a story, the way her husband stands at the gate and watches their daughter play with the goats, or the sight of her grandmother reading to her youngest children. This family was such a joy to photograph - and honestly, a dream come true for me. Photographing a family farm has been at the top of my bucket list for quite some time, but as truly fantastic as that experience was, it was Tish's beautiful heart and her loving family that made my morning. Thank you, Tish and Ty, for asking me to document this time in your lives.